The Norwegian man-hug is more a show of strength than a greeting and is usually a painful experience for the smaller of the two. There is nothing more important to Norwegians than enjoying the great outdoors. Happily, they have a lot of outdoors to enjoy. Foreigners brought up with the belief that relaxing involves lounging on the sofa may find leisure time in Norway challenging. 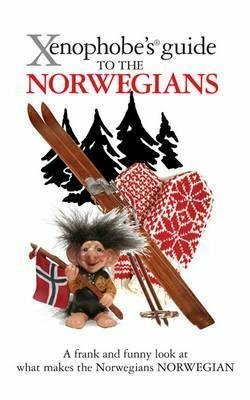 What makes the Norwegians Norwegian? A witty guide to the views and values that shows why their way is the Norway. I am bringing the book to the BC meet up this afternoon. If nobody takes it home, I will leave it on the shelf at Oslo Visitor Center. This book is released as part of the Scandinavian challenge "Release a Q, X, Z book in December 2018".